Within an unconventional artists’ neighbourhood centred on Northcote Square in London, Detective Chief Inspector David Brock and Detective Sergeant Kathy Kolla engage in their most compelling case yet. They need to find missing six-year-old Tracey Rudd, the third child to be abducted in similar circumstances in recent weeks. Tracey is the daughter of the notorious contemporary artist Gabriel Rudd, best known for a grotesque work called ‘Dead Puppies’. Tracey’s grandparents accused the self-absorbed Rudd of responsibility for the suicide of Tracey’s mother five years ago, and now hint at his complicity in his daughter’s disappearance. While Rudd, in the full glare of media attention, exploits Tracey’s abduction as inspiration for a major and controversial new artwork, Brock and Kolla hunt for the missing girls’ kidnappers, who appear to be connected to the eccentric community of artists, dealers and collectors in Northcote Square, all of whom fall under suspicion. 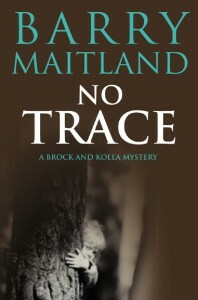 As Kathy tries to decipher their hidden motives, Brock’s attention is diverted by both a personal and a career crisis when a police inquiry targets him.